Because it is a new phone, the LG G4’s accessories are currently priced at unreasonable amounts. 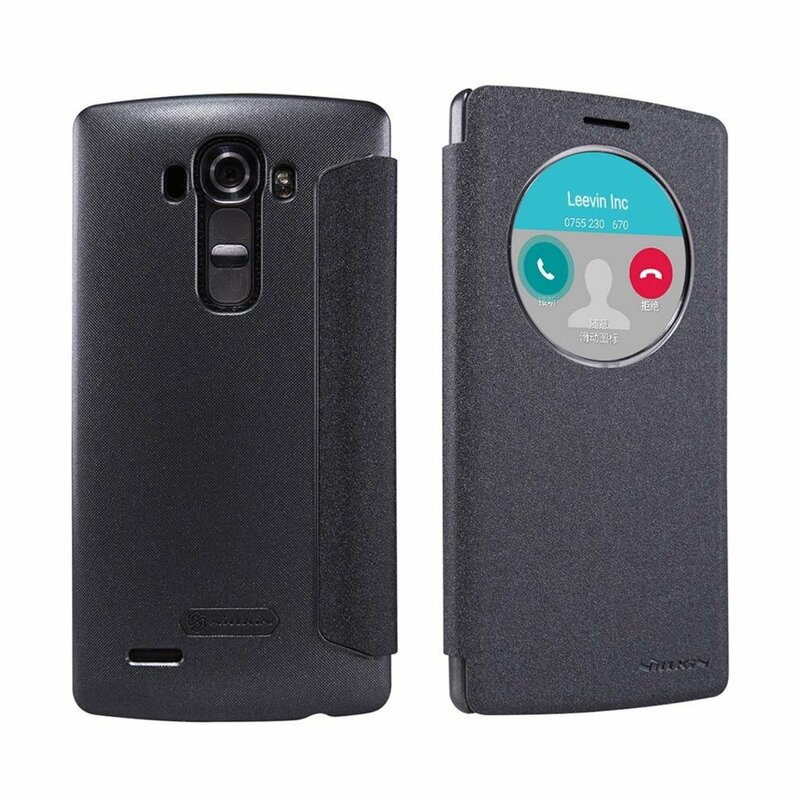 For example, the official LG G4 Folio Case which gives access to the Quick Circle apps is currently being sold for about $50. Now, we here at GadgetGuruHD are out to save you some money while providing good products, so here are the best LG G4 flip cases you can buy in the market today. The Terrapin Ultra Low Profile Wallet Case is the best of the G4 flip cases for those who want a phone case that can hold their phone as well as be a replacement for their wallet, which this phone case does, and does well. One downside for this case is that there are only a few credit card slots, so this case is perfect for those with less bulkier wallets. Another downside is that there is not access to the Quick Circle, but the phone case does have a helpful stand and protects your phone to a great extent. Offered in 4 colors, the Terrapin Ultra Low Profile Wallet Case offers decent choices to choose from, and for a good price. Buy yours on Amazon today for $9.95. The LK Leather wallet case has everything the Terrapin Ultra Low Profile Wallet Case has and more. Offering more credit slots and space, all while protecting your phone, this case can truly be a replacement for your wallet. This case is offered in leather, so it has a more premium feel to it, which the Terrapin doesn’t have to offer. Offered in 7 Premium Leather colors, this case is a steal for it’s price and versatility. Buy yours on Amazon today for $10.99. 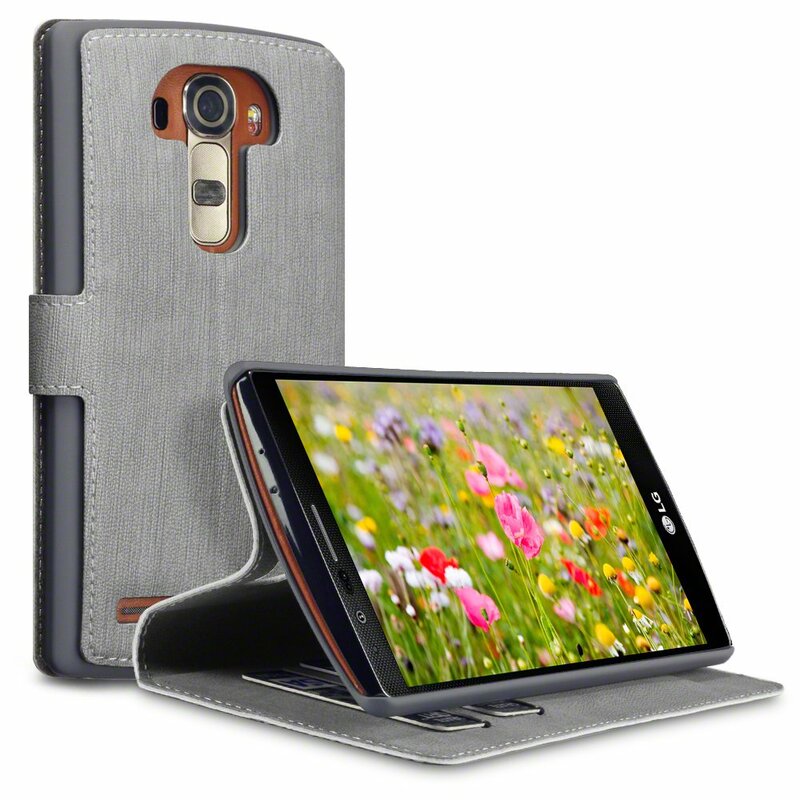 The Leevin flip case is the case to buy if you are looking for a cheap replacement for the original LG G4 Folio Case. Giving accessibility to the Quick Circle apps, this is one of the best G4 flip cases you can buy. Sold in 4 unique colors, this case offers full accessibility to the G4’s features without you having to spend too much out of pocket. Buy yours now on Amazon for $12.80. 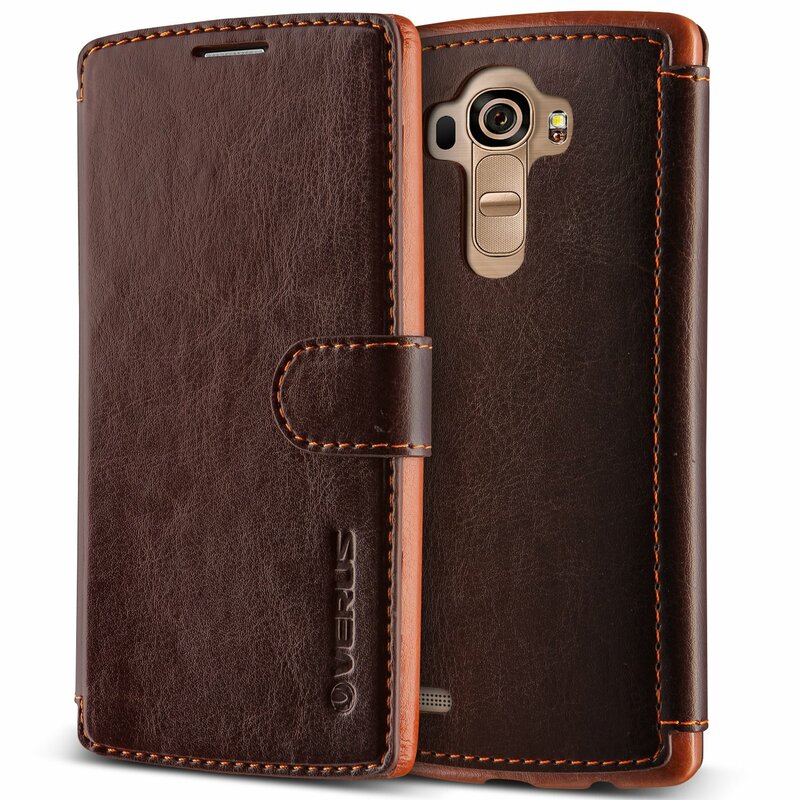 Unarguably one of the most attractive G4 flip cases in the market today, the Verus Layered Dandy Case for the LG G4 offers style, protection, and functionality. 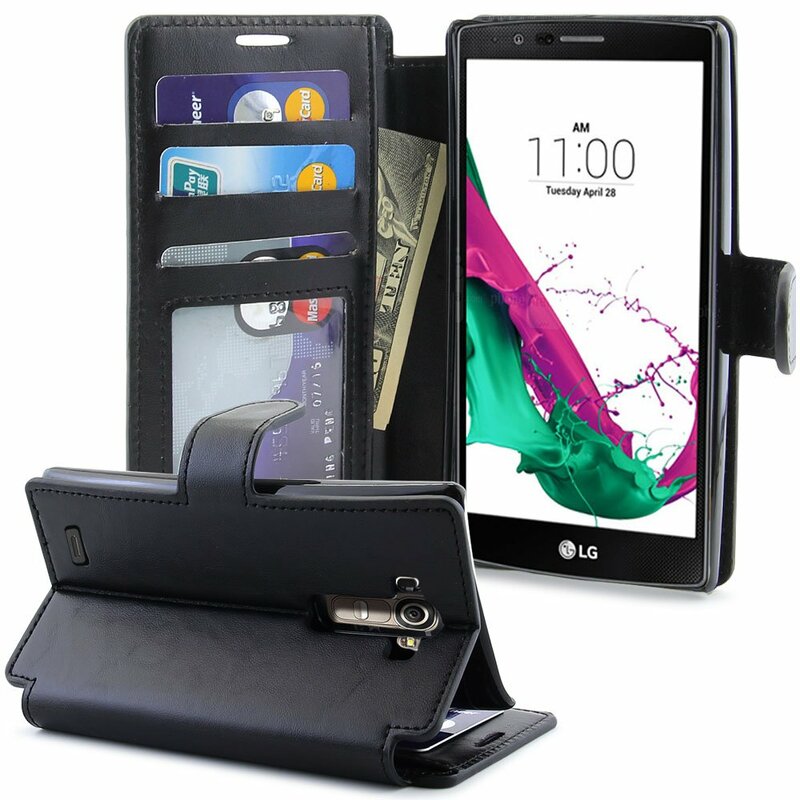 It can be used as a wallet, which is extremely helpful for those looking to replace their wallets with a versatile case, and offers all-round protection for the LG G4. Offered in 3 colors, and although it is slightly more expensive, the Verus Layered Dandy Case is the best bang for your buck. Buy yours today on Amazon for $22.99.